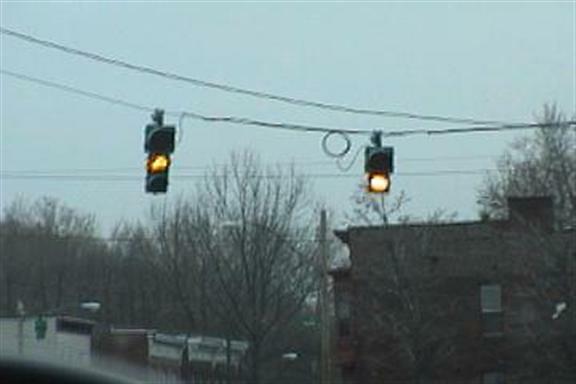 Notice that this traffic light only has one green ball? The reason it had only one green light in the first place was because it was used to control traffic outside a firehouse. The light only blinked yellow and then phased to red during an emergency. The green light never illuminated. This light has since been removed and replaced with a newer set of lights mounted on a nice art-deco mast arm.